This post will attempt to explain the procedure in simplified terms and point to the potential for valuable medicine in this method. 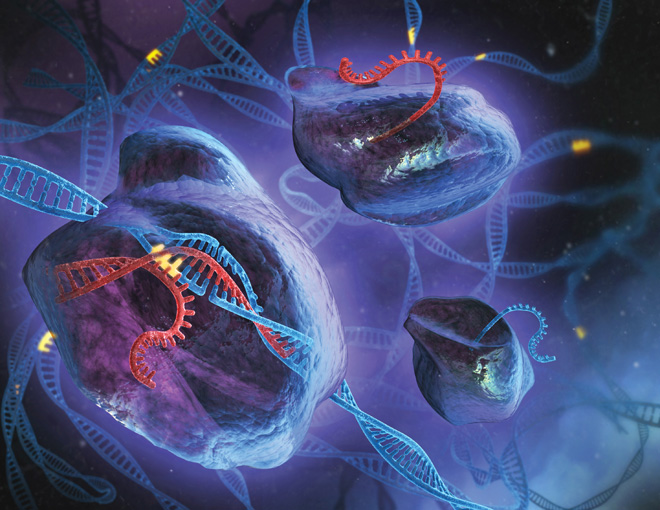 First of all, gene therapy, if it is ever achieved, would be the ability to repair DNA mutations that lead to disease. For the purposes of this discussion we will use one of the most common mutations which causes Cystic Fibrosis (CF). CF is a disease which affects the lungs, pancreas, liver, and intestines because of excessively thick secretions in each of these organs. The most common genetic mutation is the delta-F508 mutation. If a person inherits one copy of this mutation from each of their parents, every cell in their body will carry two copies of this mutation and the person will be affected with the disorder. The disease is serious and results in a shortened life expectancy. What this means at the DNA level is that where most of us have a stretch of DNA, at a spot marked as 507/508, that looks like this: TAGAAA. The person carrying the mutation has only TAA; the sequence GAA is missing. A slightly longer sequence in this region looks like this in the normal gene: TTATAGTAGAAACCA; and in the mutated form: TTATAGTAACCA. In order for gene therapy to work in repairing this mutation, what is needed is an enzyme that disperses to every cell in our body (approximately 10 trillion cells), finds the appropriate TTATAGTAACCA (mutant, disease causing) string, cuts it out, and replaces it with TTATAGTAGAAACCA (the appropriate healthy string of DNA). That is quite the surgical procedure. The researchers who wrote in Science believe they may have come up with a way to do just this. They have created enzymes with short pieces of RNA attached. With appropriate RNA sequences, the enzymes will bind to specific DNA sequences so that the enzymes can do their repair work. It is a very interesting development. I will be watching this work to see how well it pans out. Many previous attempts at gene therapy have failed to live up to their original hype. This one, so far, shows great promise.